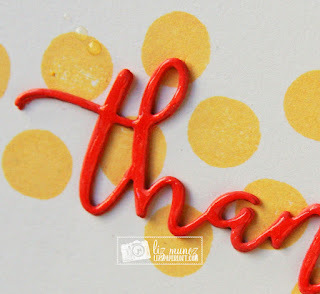 Liz's Paper Loft: MCT Made in Minutes ~ thanks! MCT Made in Minutes ~ thanks! Hi! I have a quick card to share with you today for our Made in Minutes over at My Creative Time! 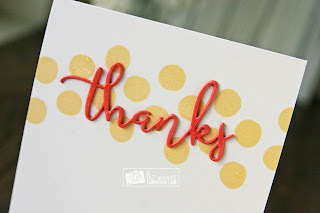 I simply stamped dots and added the "thanks" die! I love it! I've had circles on my mind, and I love what you did with yours! I think it made the cut! So simple and cheerful colors. I tend to put way too much everything on my cards and they take forever...this shows less looks fabulous. Great card! WGta a Super Sweet and beautiful card!! Love how you created with the circle stamps....definitely showcases that Thank you in a grand way!! Your card looks Spectacular!! GReat Creative Job!! YOU so ROCK!! MCT February Release Blog Hop ~ dragonfly! 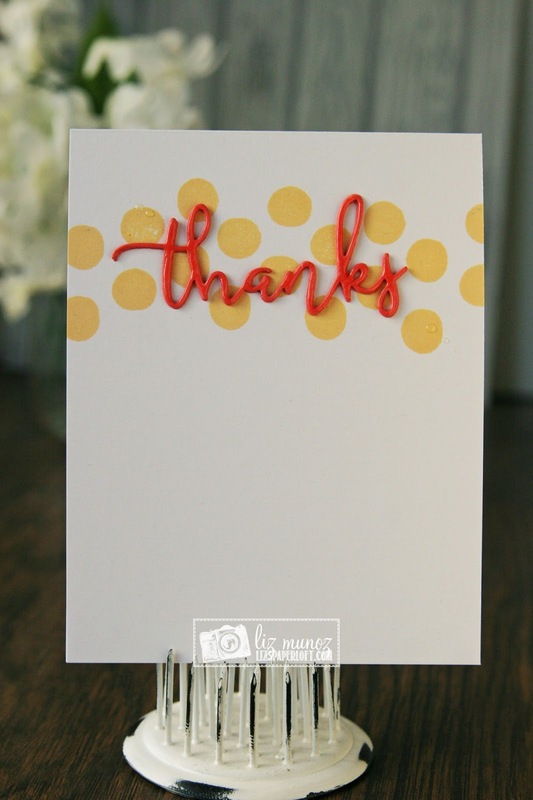 MCT February Sneak Peek Day 2 ~ hello! MCT Weird Holiday ~ umbrella day! 2/1 mct 3D Wednesday ~ heart bow box!